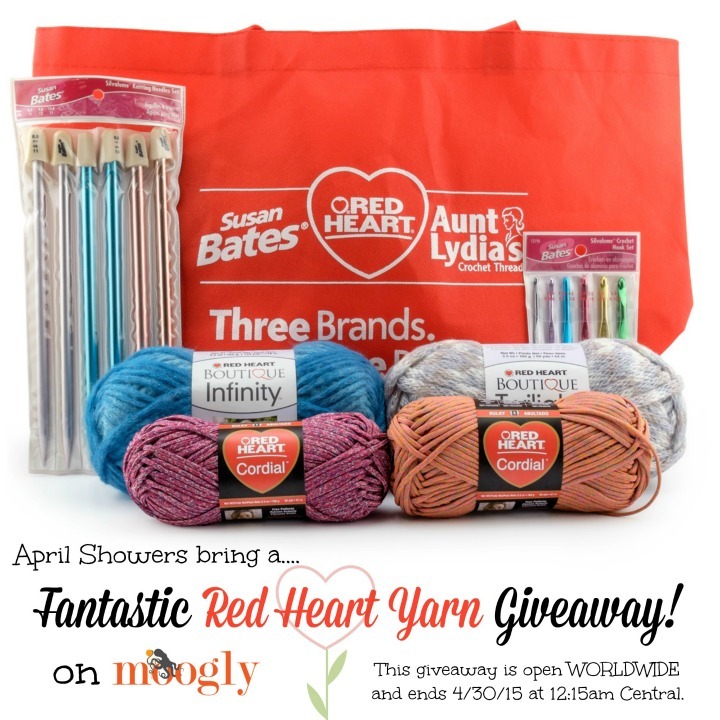 April Showers... Bring a Fantastic Red Heart Yarns Giveaway! 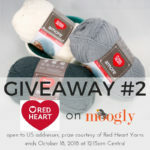 So who’s ready to win some wonderful Red Heart Yarns? Oh, you are? Well then let’s do a giveaway! Isn’t it great?! And it’s open WORLDWIDE! This giveaway ends 4/30/15, at 12:15am Central time. Enter in the Rafflecopter box below! Thank you so much to Red Heart Yarn for sponsoring this giveaway! And good luck everybody! Get Moogly on your favorite social media sites: Facebook, Twitter, G+, Pinterest and Tumblr, and sign up for the FREE Newsletter so you don’t miss a thing! 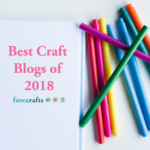 FiberArtsy Yarn Giveaway on Moogly! Boy would I love to win this prize!!! I LOVE Red Heart Brand Yarn……The only brand I use! Thanks again for another way to win items! I love Red Heart Yarn!!!! I would love tot qin! What a great offer, best wishes to all. Thanks for a chance. Such a fun and generous giveaway! Great giveaway and thanks for the opportunity to win. I’m from Pakistan and would love to win. Would love to win. Already planning my holiday projects. I’ve never won a contest like this. Would sure love to win this!!! I’ve never won a contest like this. Would sure love to win this!!! This ends on my birthday. It would be a nice birthday gift! 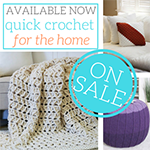 What a great offer, would love to knit and or crochet something special. Thanks for chance to win.. 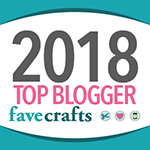 I love your giveaways Ive never won but enjoy seeing all the beautiful brands of yarns available to use for all my patterns. Thanks again Tamara I love your site! Thank so much for the wonderful giveway! 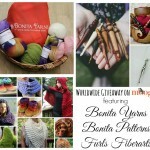 Would love to win I love to try different yarns! Red Heart is the BEST!!!!!!!! This has to be one of the most awesome contests ever! Would love to win.Only brand of yarn I use.There is always so many colors to choose from. Such a beautiful pride package. Thank you for the opportunity. Hope I win. Thanks to Red Heart for sponsoring this giveaway! 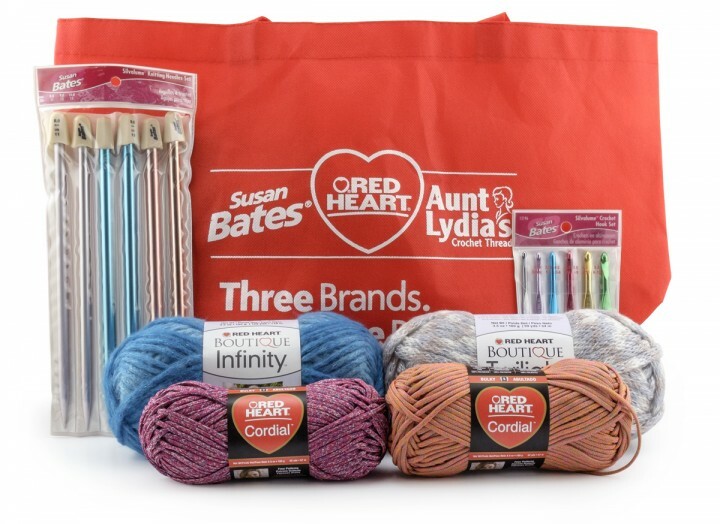 I have been using Red Heart yarn and supplies for years and I Love the Brand! Their yarns are affordable and of Good Quality. I Lpve Red Heart!! Hope to Win!! My favorite !!!!!! The only brand I use! What a wonderful prize. So generous. You will make one of us very happy! awesome giveaway! I love these colors! I would love to knit a hat and blanket for my cousin’s baby! Thanks for the great contest. Love Red Heart yarn and would love to have some new hooks and needles. Will be sharing this contest with my daughter. nice.! I would like to win this. i make things for charity and help homeless ppl i would use this all of it . my fav kind too! i love helping ppl. thank you for making this a worldwide giveaway. would love to win!! Never won anything! Thanks!!! 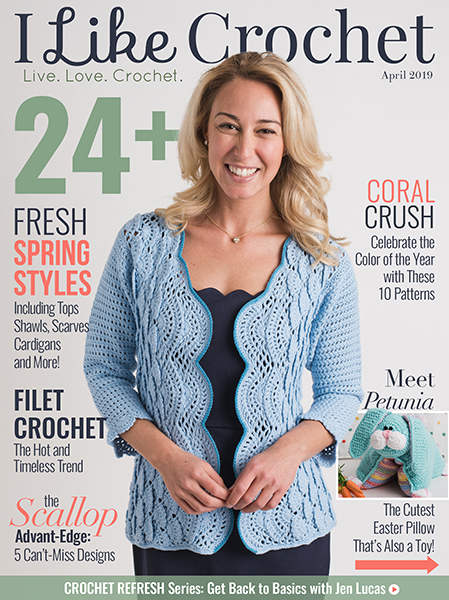 The women I teach knitting and crocheting to would be thrilled if I won this prize for their use. I would love to win such a wonderful prize. Thanks for the chance. Thank you for the chance to win!!! What a wonderful prize!!!! would be such an honor to win this…..here’s hoping and praying. I really need this. I just used up some of my stash and there is some empty space. Love Red Heart Yarn. Especially the Unforgettable. With three babies due at the office, I could sure use that wool!!! Thank you for providing an opportunity to win a great prize. I sure would love to win! Thank you for the contest! What a great giveaway! Thanks for the opportunity to win this great prize package. Thank you for the lovely contest offer!! I have seen so many gorgeous patterns using Red Heart products but have never personally used them as I live in South Africa! I would love to be able to sample them! An amazing giveaway – thank you. Susan Bates And Red Heart are my go to for my crafts. They never fail. Red Heart yarns are always great go-to yarns when you’re running low on money and can’t get the more expensive yarns. I just wish that Walmart and JoAnn’s would offer more of the varieties that Red Heart has to offer. I am reorganizing my stash to make room for this! Love red heart yarn and would love, love, love to win!!!!!! Keeping my fingers crossed!!!!! Would love to win this prize package. I really love Red Heart Yarns. i REALLY LOVE TO WIN THIS BEAUTIFUL SET!! Please, bring Red Heart Yarns to Germany !!! my husband is laid off and I would love to win this!!!! 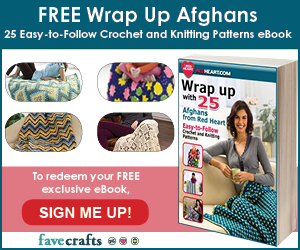 Thank you for this amazing giveaway!Entered with pleasure, because I love knitting! You’re in time! 😀 Good luck! I don’t tweet, but the only option is tweeting 🙁 It won’t let me put my email address in. What am I doing wrong? It says it is worldwide so don’t think I have a problem with trying to enter. If you’re on mobile that can cause issues, I recommend trying from a computer. wow what great yarn hope i win!!!!!!!!!!!!!!!! Well my chances seams even lessor due to the contest is open national. It’s not gonna stop me from entering, 50 winners, I might just be one. Keeping the faith. Thanks for the give away contest. Like everyone else I would dearly love to win this yarn. RedHeart is my go to preference for the majority of my projects. 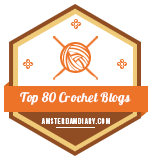 I woud love to share this with my sister who crochets a lot. Would love to play with some new yarns ad I LOVE Susan Bates hooks and needles! Thanks for having this contest. Although I know I don’t stand a chance to win, I still had to try. Thanks again for a great contest! I would really enjoy this. I’m sorry, I’m not sure what you need? I WOULD BE SO BLESSED TO WIN THIS!! !